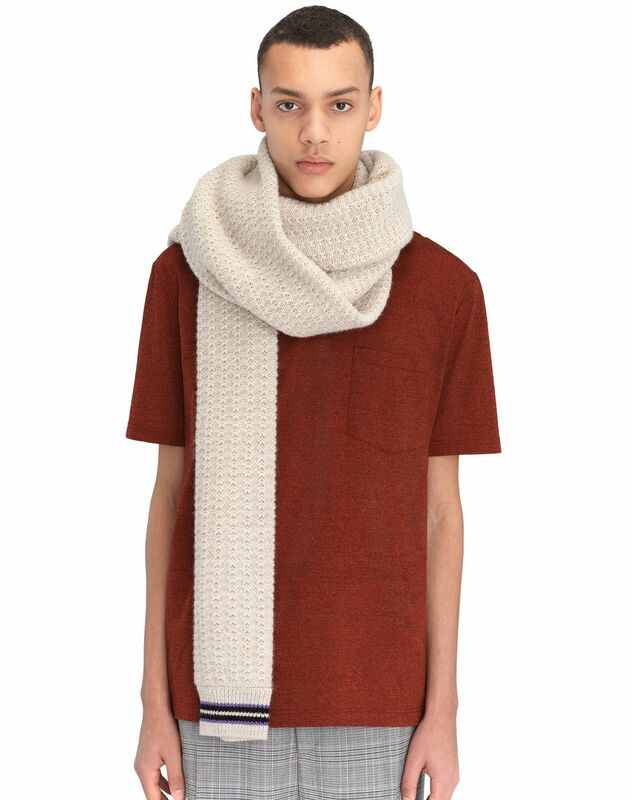 Extra-long scarf in off-white wool knit adorned with stripes at the ends. Presented during the Fall-Winter 2018 show, this wool knit scarf stands out for its atypical shape and its emblematic stripes, recreating the effect of a sleeve. Paired with the asymmetrical sleeveless sweater, it recreates the emblematic look from the show and embodies this season’s trendy silhouette. Main materials: 71% wool knit, 29% alpaca knit. Made in Italy.